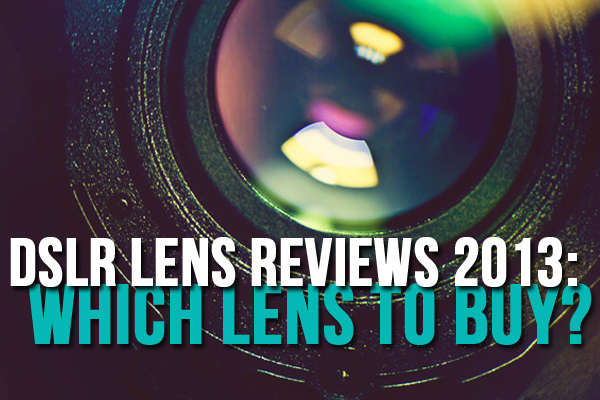 DSLR Lens Reviews 2013: Which Lens To Buy? Without the right DSLR lenses, you’re not taking the best possible pictures that you can, nor are you living up to your full potential as a photographer. 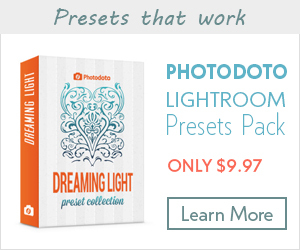 Do you want to snap the sharpest, most crystal clear pictures ever? You need to use a really high-quality lens to make your pictures come out the best every time. In this list of DSLR lens reviews, you’re not just going to get a slew of recommendations for the best DSLR lenses, you’re also going to understand exactly why these are so well-regarded. Canon and Nikon are the most popular brands around, so this list will cover the most recommended of each. You’ll also discover other lens brands that give Canon and Nikon a run for the money. Canon is one of the two, major lens brands on the market. It’s a go-to lens for a wide range of professional photographers as well as photography enthusiasts. Since Canon’s a high-quality brand, many of its lenses tend to be on the expensive side, but there are also a few lenses that are more affordable and excellent deals. 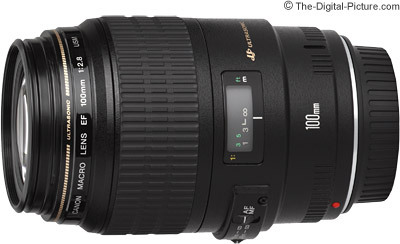 This is the ideal lens if your job requires you to shoot a lot of portraits, such as wedding photos. Even if you just like to shoot sports scenes as a hobby, this is your go-to lens. It features versatile focus length and is great for photographers who want to get really up close and personal with their subjects. At 7 pounds, it is a noticeably heavier lens than most. It can retail for more than $2000, but hey! Remember that you get what you pay for. 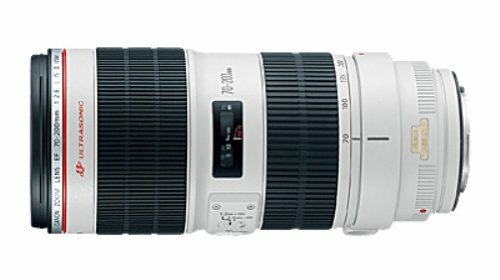 The Canon EF 70-200mm f/2.8L IS II USM Telephoto Zoom Lens is perfect for shooting weddings and even sports scenes. Unless you’re a professional photographer with a lot of gigs, you really shouldn’t pay an arm and a leg for your lenses, even if they’re among the best in these DSLR lens reviews. This model fits this stipulation perfectly, as it’s very affordable at approximately $100, and its optical quality is quite impressive for the price! If you’re a fan of extreme close-ups, then this is the lens for you, as long as you’re fine with shooting primes for portraits. At just 1 pound, it’s pretty lightweight, which makes it very convenient to take out into the field with you. 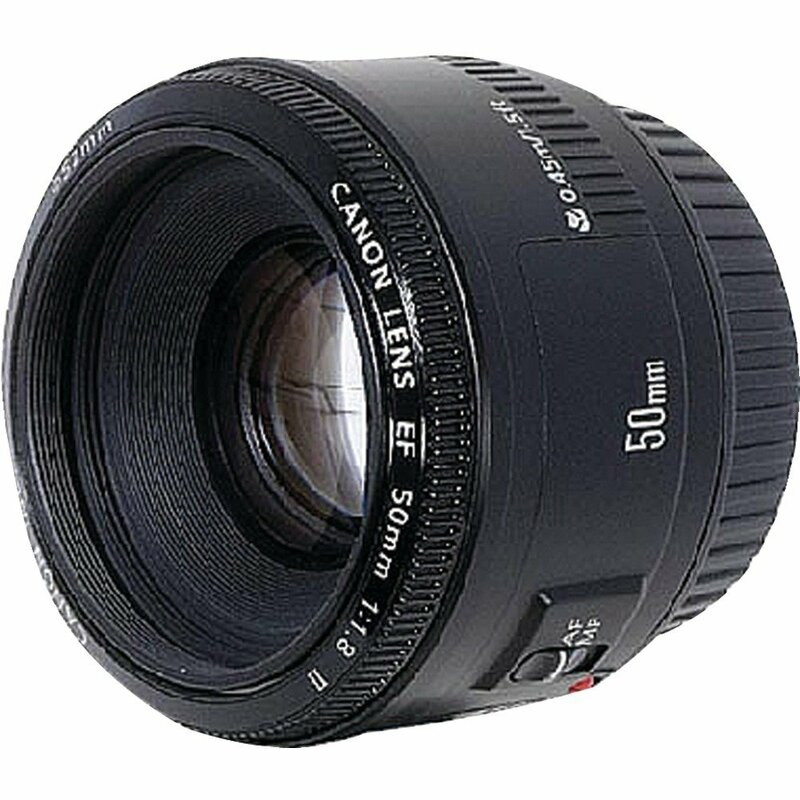 The Canon EF 50mm f/1.8 II Camera Lens offers good optical quality and an affordable price. What’s not to like?! If you want a significantly cheaper lens than the Canon EF 70-200mm f/2.8L IS II USM Telephoto Zoom Lens but still a fair amount of sharpness, this is the lens for you. Not only is it several hundred dollars cheaper, but it’s also a lot lighter at just 3 pounds. 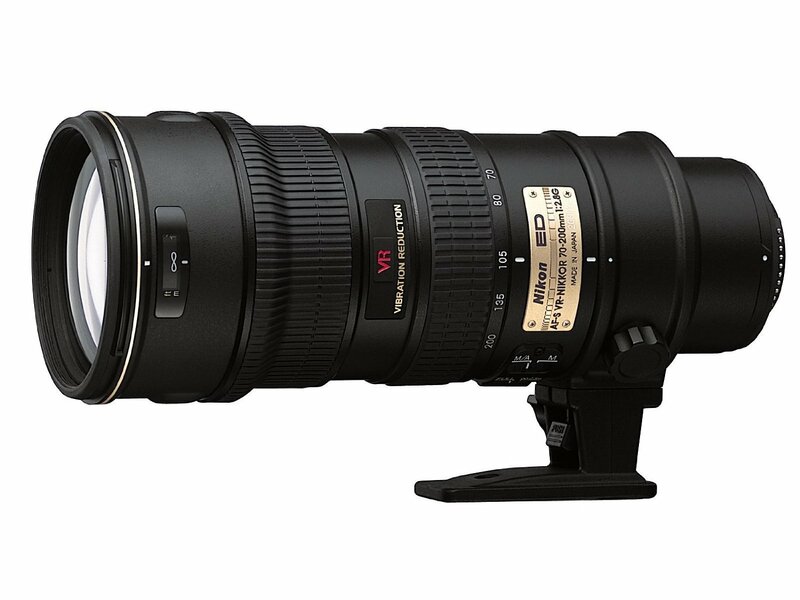 The Canon EF 70-200mm f/4L USM Telephoto Zoom Lens is a sweet combination of affordability and decent sharpness. It also features an inner-focusing system as well as an ultra-sonic monitor for efficient and silent autofocusing. With a closest focusing distance of just under 4 feet, this lens is sure to provide you with pretty tight shots. 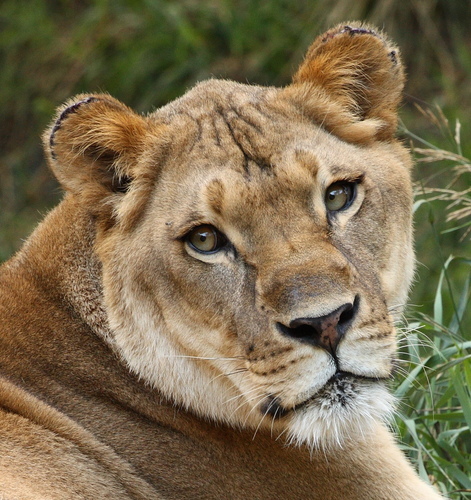 Look how tightly this lens was able to focus on the lion’s face! 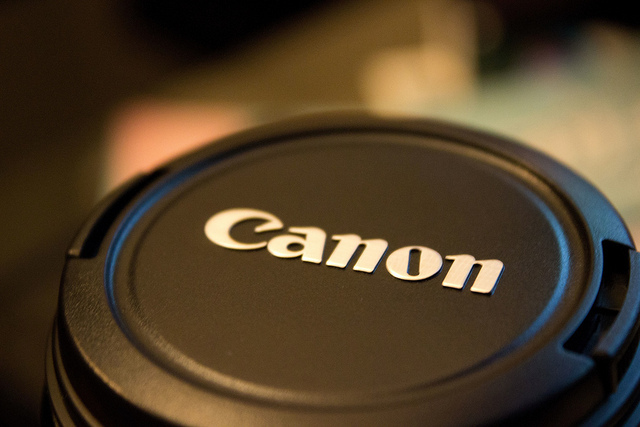 Portrait photographers already know that this is one of the most sought-after Canon lenses. With its circular aperture and high-speed AF, medium telephoto lens, ring-type UltraSonic monitor and 111mm focal length, portrait photographers are sure to get the most captivating and lifelike shots with this lens. Due to its high-quality performance, this Canon model will run you almost $2000, but it provides you with an excellent depth-of-field that increases the viewer’s attention to the photo’s subject, all the while blurring the background. This is why this lens is perfect for weddings and portraits. The Canon EF 85mm f1.2L II USM Lens is a highly reliable one for portrait photographers. One of the best macro lenses you’ll find anywhere, this Canon model has a lot of benefits to provide photographers. It comes with a diagonal angle of view of 24 degrees, a 100mm focal length, an inner focusing system with an UltraSonic monitor and a focusing distance that can get as close as 1 foot. Its best feature, though, is probably its silent-wave motor. The focal length is absolutely delightful for shooting subjects that stand still (read: buildings, landscapes, etc.). So if you don’t have a requirement to shoot insects or fast-moving athletes, this should be perfect for you. The Canon EF 100mm f/2.8 Macro USM Lens has a silent-wave motor. Nikon is the other big lens brand on the block, and its lenses have a reputation for great contrast, sharpness and color rendition. Some of its models even feature vibration reduction, which is great if you’re fond of shooting from moving vehicles. Nikon lenses tend to be pricier, too. Value and spectacular quality meet to offer one of the best Nikon lenses on the market right now. There are many factors to take into consideration when evaluating this model: Its widely praised zoom range, its relatively low price point (for what you get), and its brilliant optical quality. This is the lens you want with you when you’re on vacation or even just photowalking in your own neck of the woods. If there’s a minus here, it’s a minor one: This model can be somewhat slow to focus, given the bigger focal range. 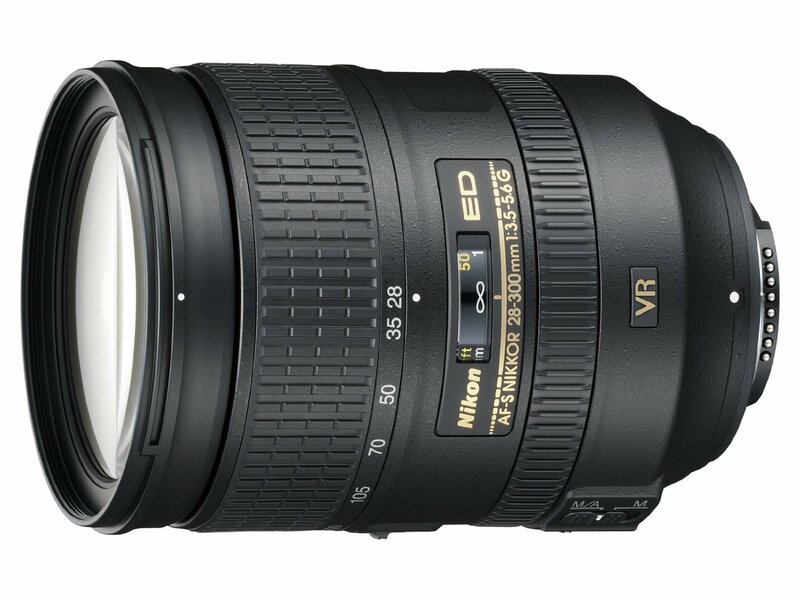 The Nikon 28-300mm f/3.5-5.6G ED VR II AF-S Nikkor Zoom Lens is a perfect lens to bring with you on vacation. The attractive aspect of this model is that it has a great reputation for being a high-quality lens, with many photographers giving it rave reviews. Some of its standout features include its relatively quick speed, vibration reduction and how it lends itself very well to being used for weddings, portraits and sports shots. Vibration reduction is especially sweet if you have a knack for taking a lot of pictures from moving cars, boats or even planes! One small note, though: It’s relatively expensive, so be prepared to shell out at least a couple of grand for this baby. The Nikon 70-200mm f/2.8G ED-IF AF-S VR Zoom Nikkor Lens offers vibration reduction. Canon had its entry into the macro-photography genre above, and now Nikon contributes its own macro-photography lens in this list of DSLR lens reviews. 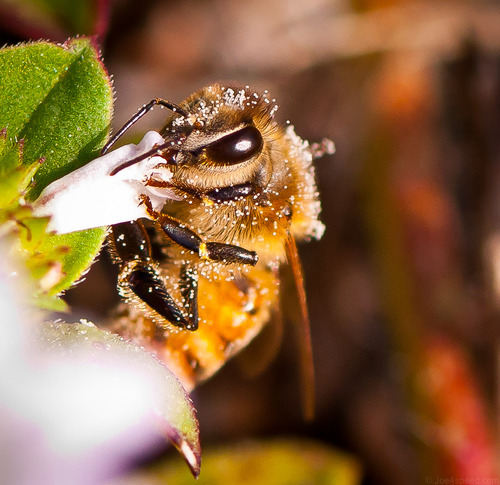 The Nikon 105mm f/2.8G ED-IF AF-S VR Micro-Nikkor Lens is spectacular for macro photography. If you’re a fan of snapping shots of tiny insects, the delicate dew on flowers in the morning, and any object up close and personal, then you need this lens. This Nikon model is exemplary because it has vibration reduction, which means that its quick aperture is going to be even that much more useful to you out in the field. Look at the amazing quality of this macro picture! Wow! 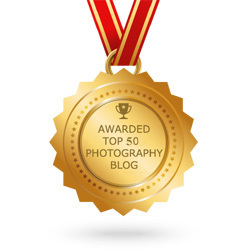 Calling all portrait photographers! This is your go-to Nikon lens when you have to shoot weddings—you won’t be left disappointed. Its defining feature is that it provides super-sharp results through much of the focal range…what more could you ask for? Some portrait photographers may indeed like shorter focal length primes when taking portrait shots, but you’ve got to go with what works for you. Some of its best features include the silent-wave motor, vibration reduction, image stabilization and amazing sharpness and color correction, thanks to extra-low dispersion elements. 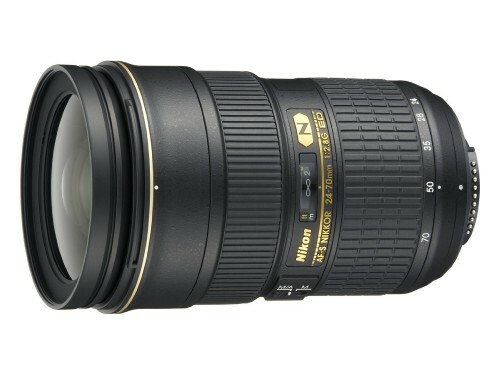 This Nikon 70-200mm f/2.8G ED VR II AF-S Nikkor Zoom Lens is ideal for portrait photographers. If you’re looking for a fairly priced, easy-to-use and enjoyable lens, look no farther than this particular Nikon model. On Amazon.com, it currently enjoys a fairly high rating of 4.6 out of 5 stars, meaning that customer satisfaction is extremely high. Out of more than 230 reviews so far, the lens has nearly 200 5-star reviews. A zoom lens with a fair focal range, it impresses photographers with its fast-focusing abilities, sharp picture-taking results and comfort of use. All this boils down to a lens that’s ideal for everyday photography, people shots and landscapes. The Nikon 24-70mm f/2.8G ED AF-S Nikkor Wide Angle Zoom Lens is fairly priced and delivers good quality. Sometimes, cheaper and lesser-known lenses are all you need! 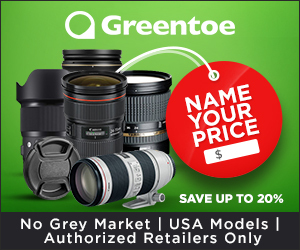 Unless you’re a professional photographer or someone who’s fond of showing off your brand-name lenses, you can do just fine with third-party lenses. While they’re not up to par, quality-wise, with Canon or Nikon, there are some gems to be found in this category. 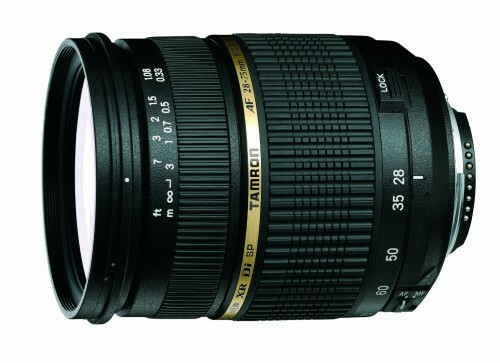 Tamron may be a lesser-known lens brand, but you’d never know that from the sheer quality of this model. It’s gotten rave reviews from photographers who appreciate its various strengths, very affordable price tag and sharp quality. Costing just $500, this lens focuses very quickly, offers sharp picture quality and can even be used as an excellent macro lens as a bonus. It is capable of focusing to within half a foot of any given subject! If you don’t mind purchasing a third-party lens, you can get a nice alternative to the much pricier Canon and Nikon lenses. This is the Canon version of this Tamron lens. An enjoyable wide angle lens to have around when you take your camera bag and hit the town, this Sigma model features a hyper sonic motor. 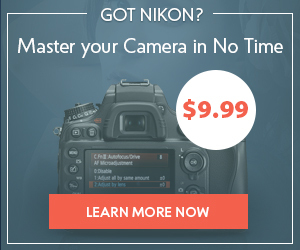 This means you get high-speed and silent autofocus, as well as full-time manual focus. For a third-party lens brand, it also possesses quite an impressive close-focusing distance of just 9.4 inches. At 3.2 inches in length and 3.3 inches in diameter, this is a compact lens that you should be easily able to take with you just about anywhere, which is a sizeable part of its appeal. This is the Nikon version of this Sigma lens. It’s not too often that you come upon a wide-angle lens that is the epitome of affordability and great quality. This Tokina model fits the bill on both counts: Its sophisticated optics and quick aperture put it in a league of its own, at least as far as its competitors in this same price point are concerned. 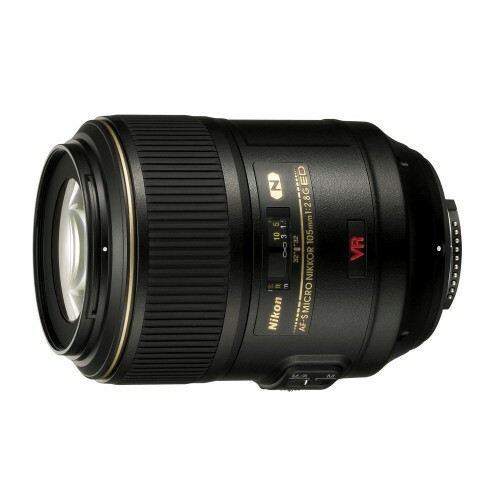 This is the Sony version of this Tokina lens. For added durability, all the moving parts of the lens are coated with an extraordinary lubricant. 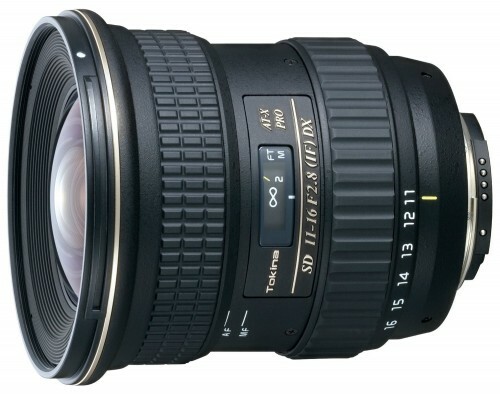 This Tokina lens can fit Canon, Nikon and Sony cameras. This brand has a reputation for clean and really sharp images—you’ll see why when you use this lens. Note how clean and sharp this snapshot turned out. Photographers always on the go who value lightness and compact lenses will be impressed with this lens from Pentax. At just under 8 ounces and only 1.5 inches, it’s a lens that’s meant to be as non-intrusive as possible. Featuring a completely automatic diaphragm and a fixed, 50-mm focal length, you can’t ask for much more at a price point of under $400. 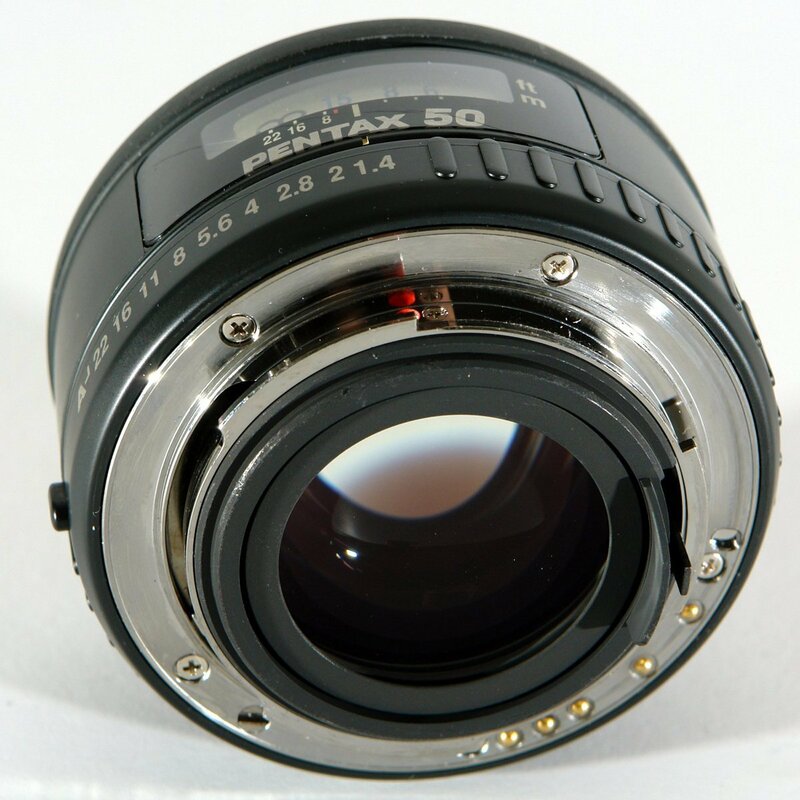 A small reminder: Even though this lens works fine with all Pentax SLR cameras, you can only use the AF system specifically with Pentax AF cameras. This is the SMC Pentax FA 50mm f/1.4 lens. Fair warning: This is the only lens on this list of DSLR lens reviews that doesn’t feature stunning optics. It’s still on this list because it offers adequately sharp, but not breathtakingly sharp, images. 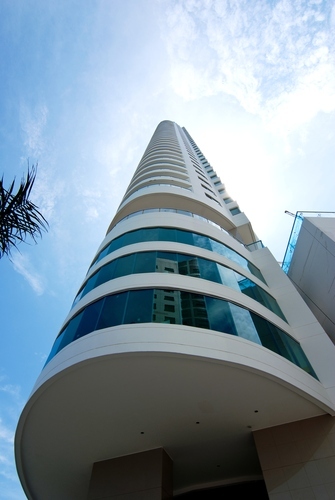 Besides, it possesses a comfortable focal range and an effective autofocus. 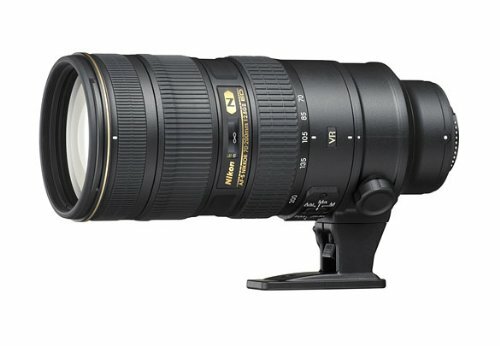 The reason this baby’s on this list, though, is because it opens up opportunities for thousands and thousands of photographers who otherwise wouldn’t be able to buy a real telephoto lens for wildlife and sporting shots! 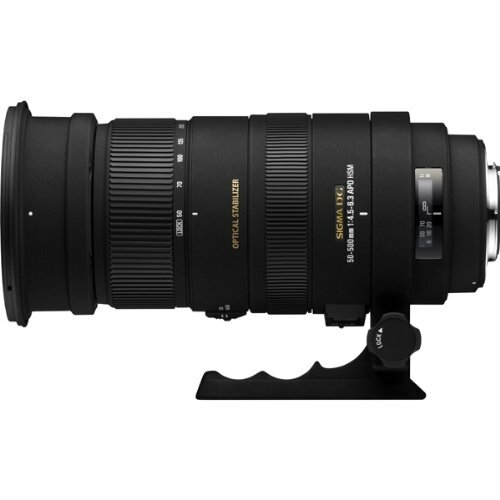 Usually, lenses for sports and wildlife photography will run you approximately $6000, but this Sigma model is available starting at $1500. 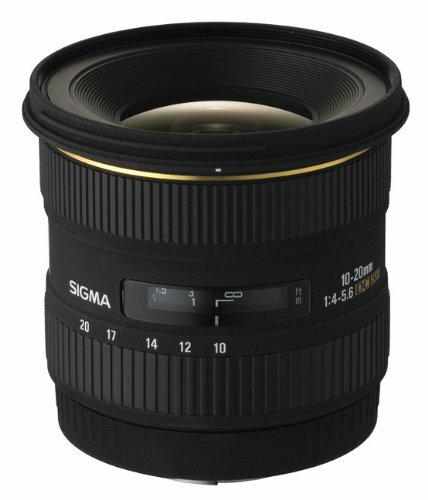 This is the Sony version of this Sigma lens. What’s the Best Lens for You? It all depends! This authoritative list has taken you through a myriad of DSLR lenses that are perfect for photographers of all shapes and sizes. Are you a high-end photographer who needs to take wedding portraits for your job? 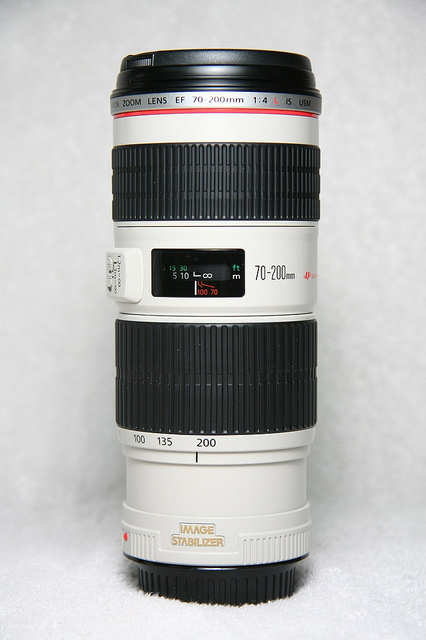 You may want to strongly consider the Canon EF 70-200mm f/2.8L IS II USM Telephoto Zoom Lens. However, if you’re a budget photographer who doesn’t have the means to spend an arm and a leg for the latest equipment, you can still be happy with the quality of the Canon EF 50mm f/1.8 II Camera Lens. There are even additional considerations beyond these. If you’re open to third-party lens manufacturers and don’t need to show off your Canon or Nikon equipment, then think about choosing a Tamron, Sigma, Pentax or Tokina lens. 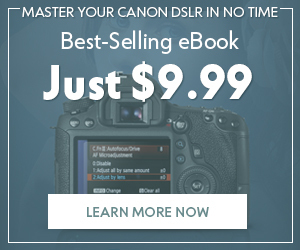 They’re cheaper than the Canon and Nikon lenses and still offer really good quality. Of course, if you have a passion for specialized and very refined photography that has you snapping shots from moving vehicles, you may want to splurge and get the Nikon 70-200mm f/2.8G ED-IF AF-S VR Zoom Nikkor Lens. You and you alone decide on which lens works best for your priorities. The sooner you incorporate this philosophy, the faster you’ll find the perfect lens. What are YOUR favorite DSLR lenses? 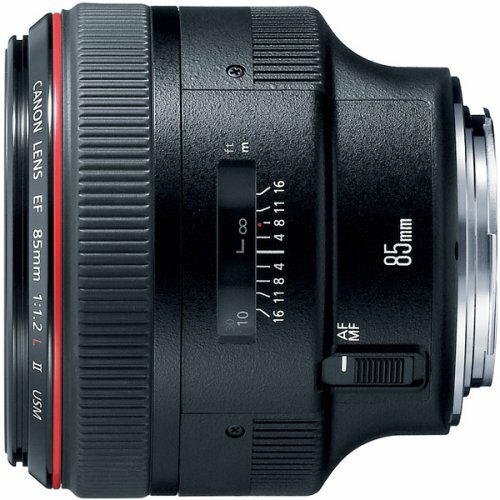 Do you have any memorable or positive experiences with specific lenses? Then, tell us all about them in the comments section! And, as always, feel free to share this post so more peeps can learn about photography.